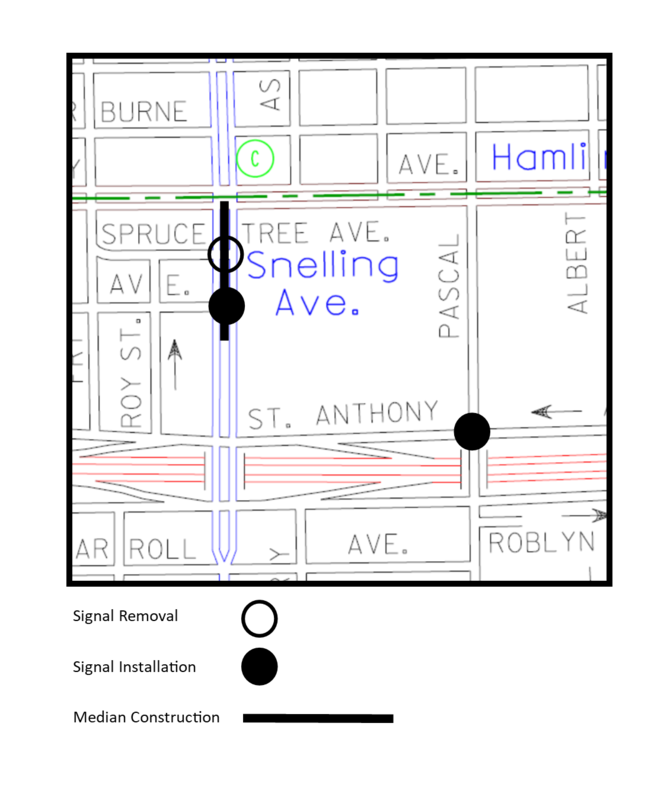 Improvements have been made to Snelling Avenue between Shields Avenue and University Avenue and at the intersection of St. Anthony Avenue and Pascal Street. Work consisted of revising the existing medians, reconstructing curb ramps and sewers, relocating the traffic signal from Spruce Tree Avenue to Shields Avenue, and reconstructing the traffic signal at St. Anthony Avenue and Pascal Street. Traffic signals and pedestrian crosswalk initiators have been installed. Signals are scheduled to be programed. Project completion is expected by Thursday, December 27.